Señor Amor has gone mobile for this post. We don’t know if he can even dial a phone, much less update a blog, from a mobile device. 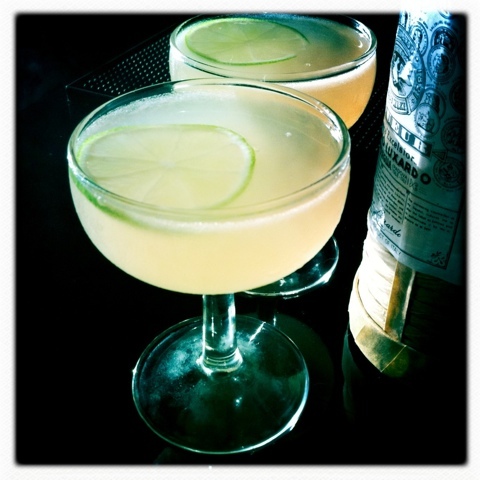 In honor of Ernest Hemingway’s birthday, we are sipping a Dale’s Hemingway Daiquiri tonight. The recipe comes from Dale DeGroff’s Essential Cocktail. Shake and strain into a cocktail glass. Serve it up with a thin slice of lime.